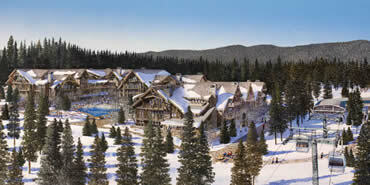 The first great lodge, spa and residential development in Breckenridge Colorado. You ski in. You ski out. The gondola stop is a few steps away. It takes you up to peak adventure or downtown to all the pleasures of Breckenridge. Your residence, your lodge, the lands and the view embrace you in quiet seclusion. The Fairmont Residences Shock Hill is perfectly situated in a pristine location. Perched on a high ridgeline, your lodge commands unobstructed views of dedicated spaces that will remain undeveloped from Cucumber Gulch to the mountains of the Ten Mile Range. Wholly owned, luxury condominiums featuring 1-, 2-, 3-bedroom and penthouse suites. Pre construction pricing starting from $1 million. The Fairmont Residences Shock Hill combines the privileged convenience of a base village address with single-family privacy. No other five-star residential development is as close to Denver. No other Breckenridge option offers so many prime features and amenities. All services and amenities are subject to change, modification or elimination by developer without notice. Certain amenities, if offered, will be subject to modification or elimination by property management and will further be subject to declarations and rules and regulations adopted by The Fairmont Residences Shock Hill owner's association, AZCO II LLC and/or Mesa Homes. On my web site you can find different kinds of real estate. If you do not want to be involved in the construction process and want to buy a house, you can go to Breckenridge Homes For Sale. If you would like to be in town and close to the ski slopes, check out our Breckenridge Ski in Ski out Real Estate or you can buy Breckenridge Condos For Sale. If you are interested in building your custom home and are looking for the land, please visit our Breckenridge Land For Sale There are different kinds of options for everybody!